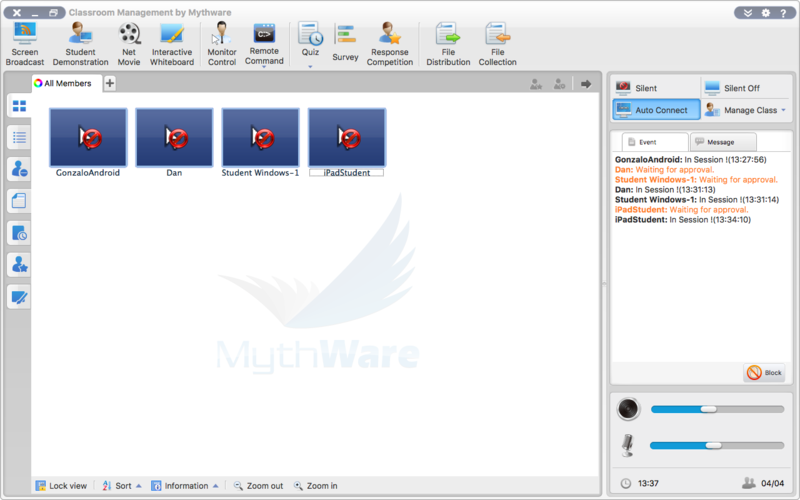 Mythware Classroom Management Software for Mac | Planet TechEd Inc.
Monitor, Control, Collaborate & Much More. 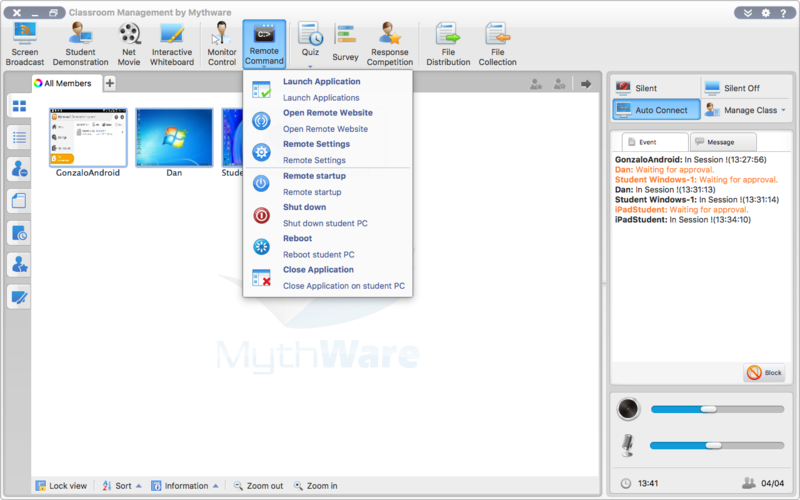 Mythware Mac Classroom Management Software allows teachers to shut down all students’ devices with only one mouse click, reboot all students’ devices, and execute an application on a student’s device remotely, all without leaving their Mac computers. By displaying one student’s screen on other students’ computers, teachers can let the student share his/her work and highlight creative solutions or common problems. 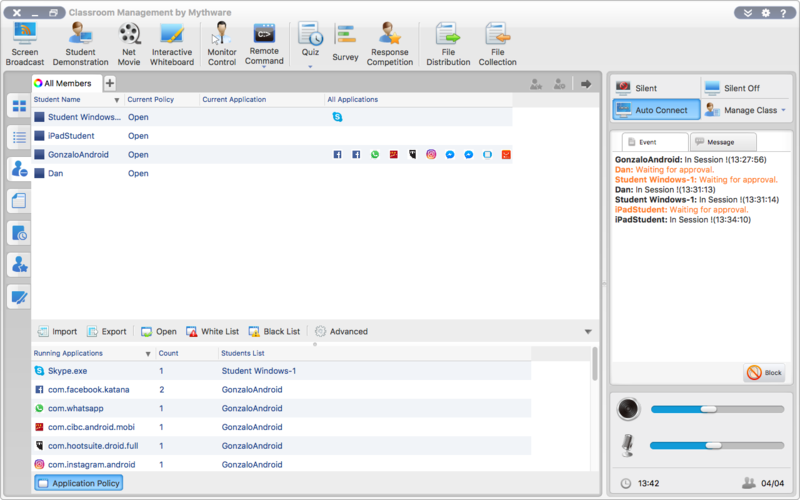 Screen Broadcast is one of the most important functions of Mythware Classroom Management Software on Mac. 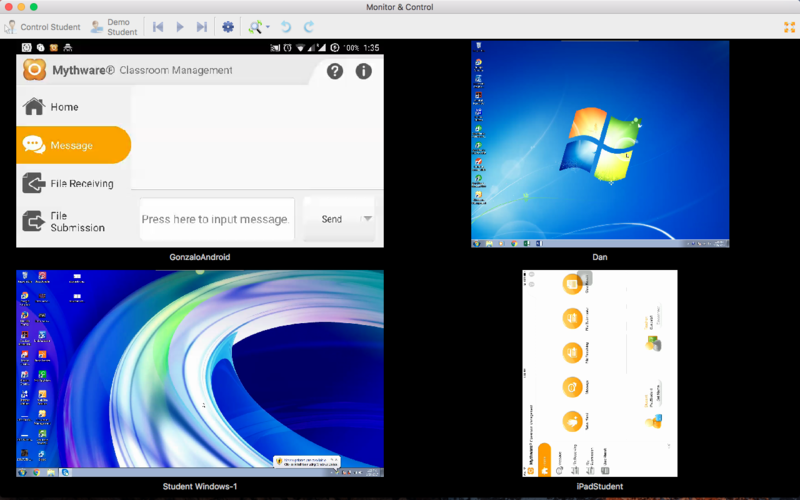 Teachers can broadcast their computer screens to one or more of the students in the class, in either Full Screen or Windowed mode. Interactive Whiteboard is designed to meet the requirement of making the class more interactive. 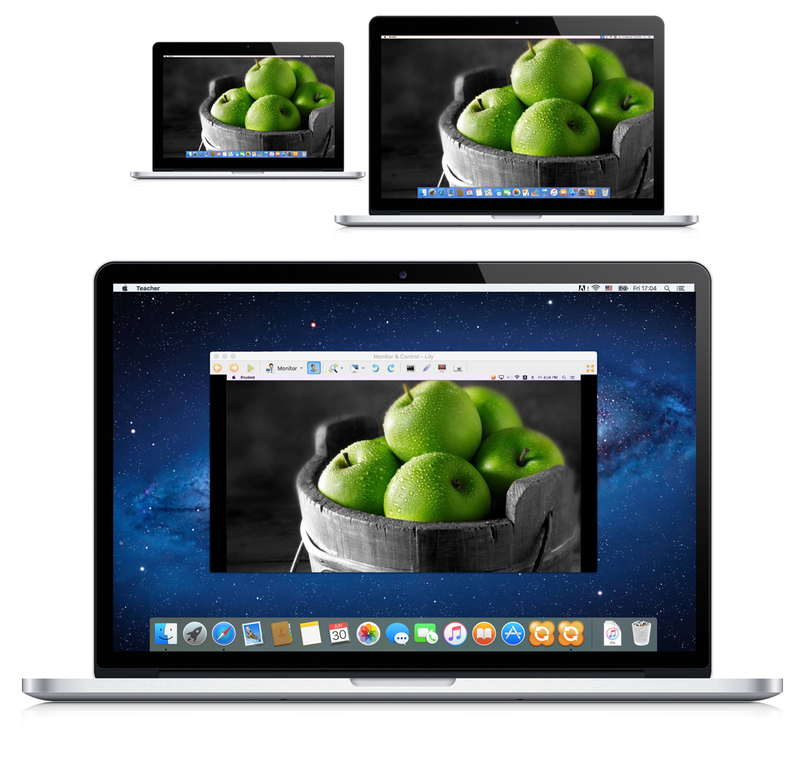 With this function, teachers can easily share their screens and contents to all or selected students. Teachers can also invite students to draw on the drawing board together. 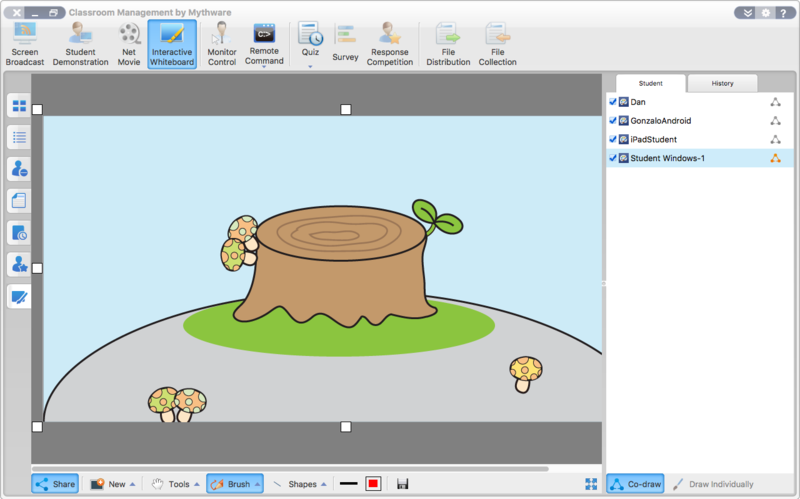 Students can also draw on their own drawing boards individually and the teacher can monitor students’ drawings. In this way, students’ creativity can be inspired. Quiz by Answer Sheet is a good way for teachers to test their students. 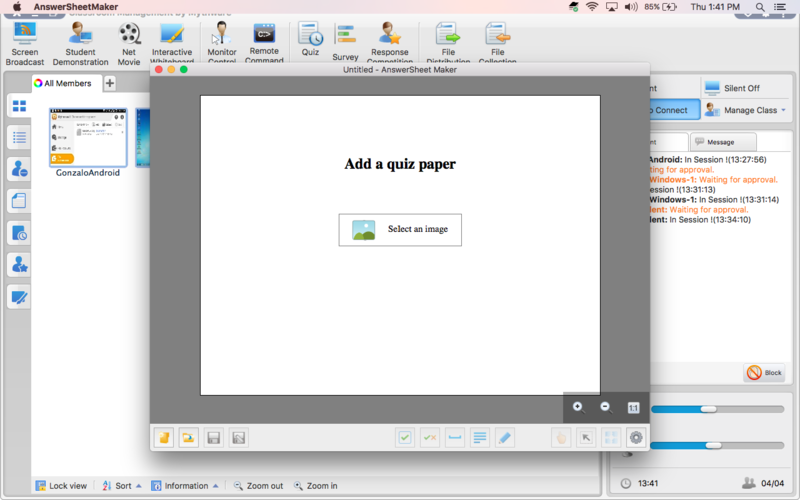 Teachers can import documents as quiz paper and edit on it to generate answer sheet. Students can answer questions both on the quiz paper and on the answer sheet. Teachers can export the quiz result in the form of HTML which can show the whole test and each student’s answering situation clearly. 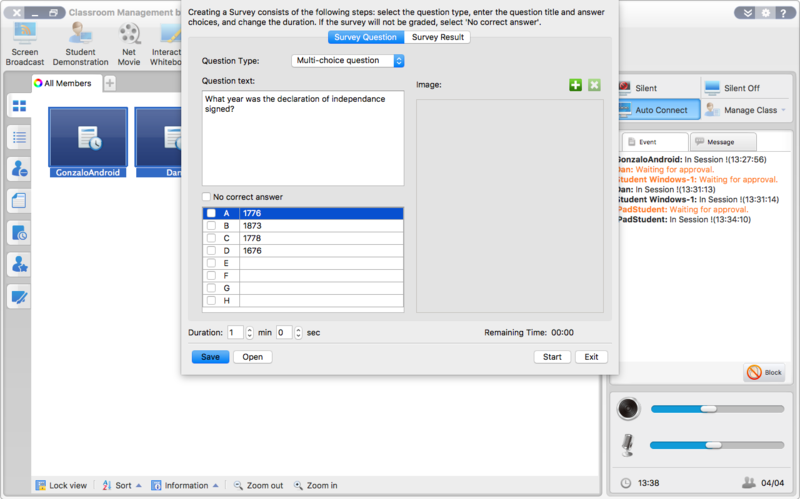 Teachers can use Survey to see how well students have learned. The teacher can set a quick question by Survey, and the question can be multiple-choice or true or false question. Teachers will see students’ answers in the form of histogram after students submitting their answers. If the teacher wants to know whether the students have grasped the teaching content during the class, he can use this function to test students’ learning outcome. Teachers can ask the students to answer the competition questions vocally or by entering text. Also, students can answer questions by demonstrating their screens and showing their operations to other students. All those competitions can be done individually or in groups. The application policy feature allows teachers to control what application can be used, which cannot and to also terminate application in real time if needed. Setting the Whitelist (Allow Applications), Blacklist (Not Allowed) and Open policy, allows teachers to have full say on what the students can and cannot open. 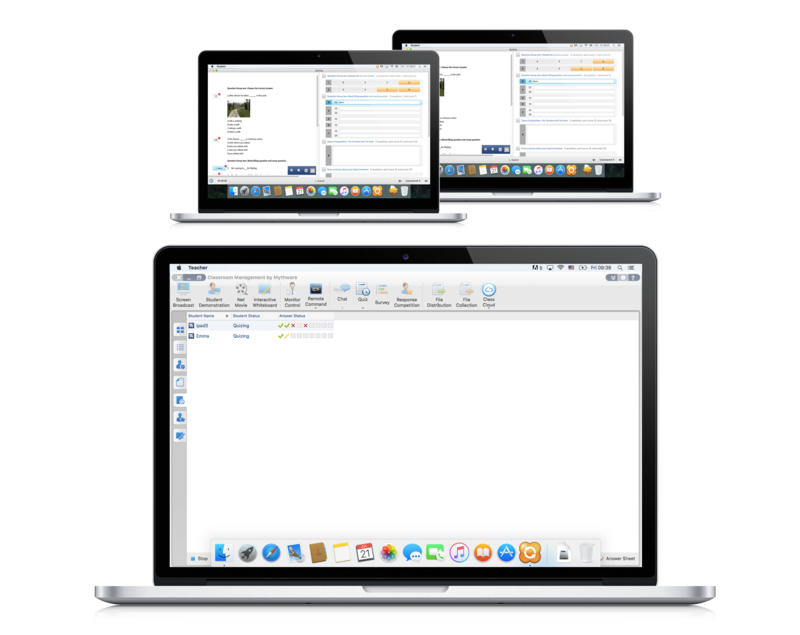 With File Distribution and File Collection, teachers can send documents, collect tests and distribute assignments in the classroom instantaneously, without having to pass out any papers. All these can be done in a paperless way which is more convenient and environmental. 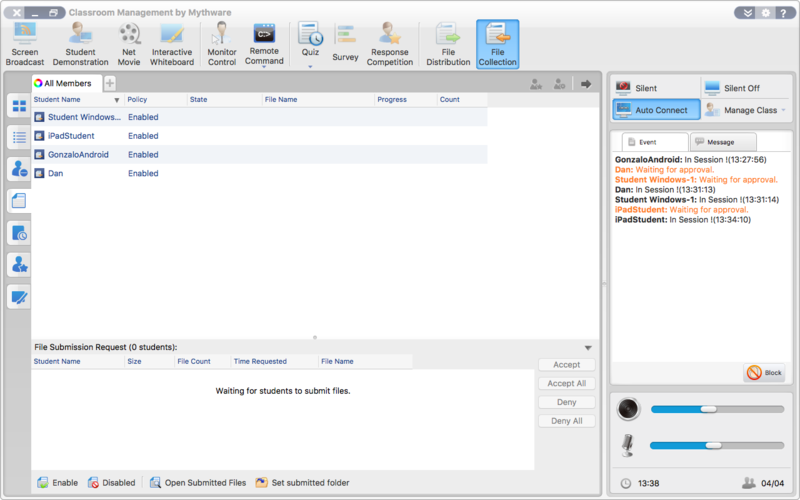 Mythware Classroom Management Software on Mac helps the teacher to manage the class more conveniently and easily. 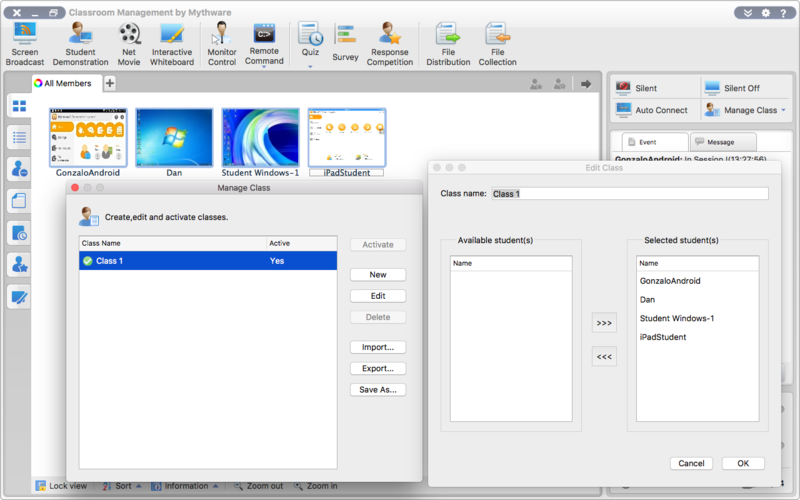 Teachers can manage Class Models by deleting or activating an existing Class Model, ask the students to sign it at the beginning of class, distribute or collect files from all or selected students. Teachers can ask students to provide student ID and other information at the start of class. After all students have registered, teachers can export the student registration details to a file. In order to gain one or more students’ attention during the process of class, teachers can blank students’ screens. A blank screen is an amazing thing. Teachers no longer have to compete for students’ attention. 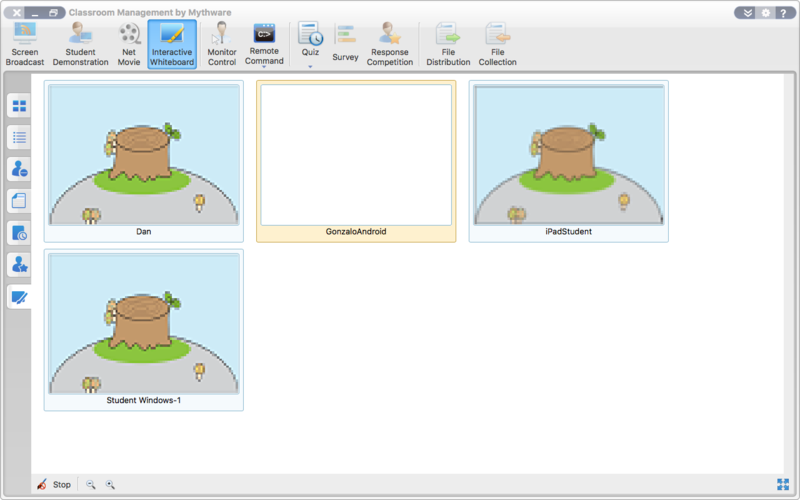 When teachers blank students’ screens in the classroom, all students’ keyboards and mice will be locked at the same time; websites, games and assignments disappear in one click. 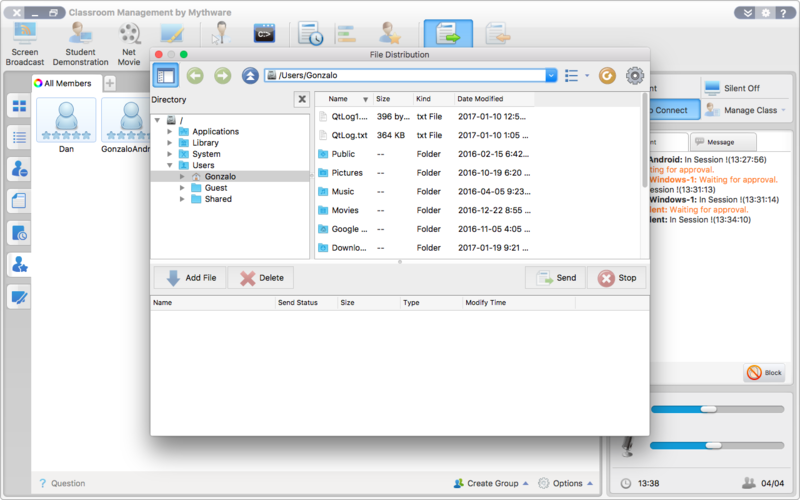 Teachers can play media files on their computers and broadcast the media to the entire class. Students don’t have to download the media file. And teachers don’t have to share the media file with students. The process uses streaming media via networking. Now Net Movie supports the MPEG files (*.MPG, *.MPEG) and DVD Files (*.VOB). 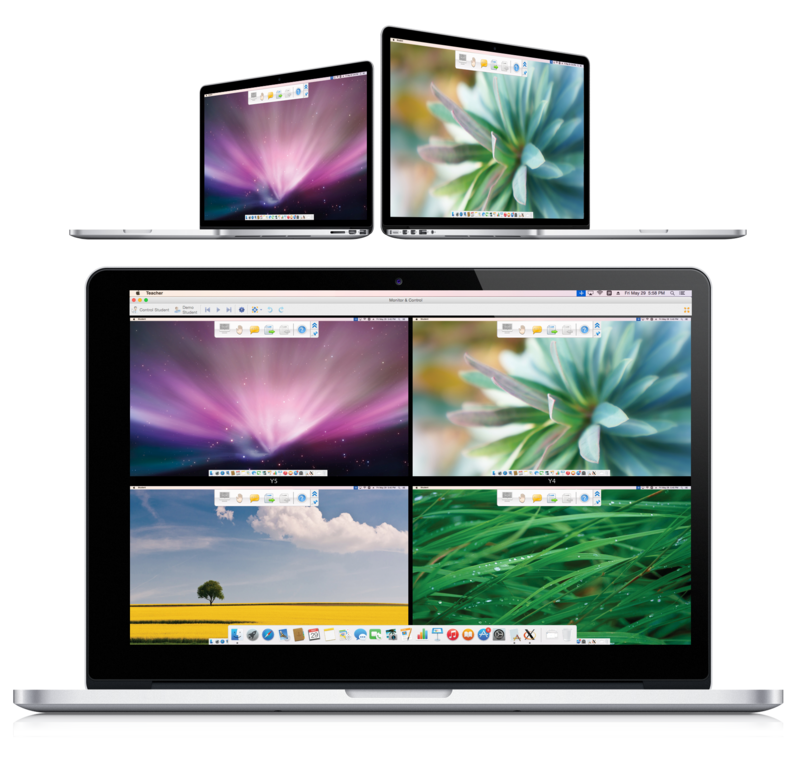 Compatible with iOS 11 student side and Chrome student side. Help the user to know what classroom management for android can do in concise sentences and words. Find all the features of classroom management software for android in this feature list. Guide every user to use classroom management for android easily and quickly. Network Requirements Wireless Network: 802.11b/g/n wireless network.